Lip augmentation saw a huge surge in popularity after Kylie Jenner admitted last year she had lip injections to make her pout look fuller and more luscious. And indeed, lip fillers sound like the dream for people who want to plump their lips. The procedure is non-surgical, which means it’s quick and easy to do, and the costs are relatively low for a cosmetic procedure. However, there’s always a few things you need to keep in mind before undergoing cosmetic treatment. 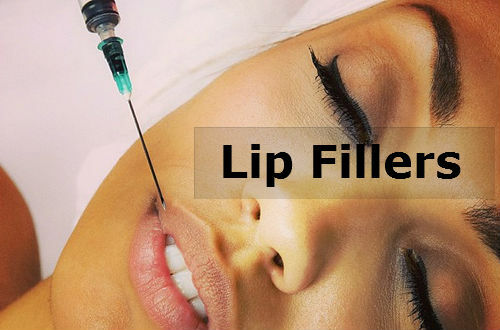 If you’re interested in getting lip fillers, make sure you’ve considered the following. There’s plenty of ways to enhance your lips, from getting a fat transfer to using suction pumps. When it comes to lip injections, the most common dermal fillers are Restylane and Juvederm. They are known for containing hyaluronic acid, which is a component that occurs naturally inside the body and works to plump the skin. The advantage of using hyaluronic acid (HA) fillers is that you can control the amount that is injected into the lips. During the procedure, you can indicate whether you’re comfortable with the way your lips look. Before you undergo the procedure, decide which part of your lips you want to enhance. You can choose to define your cupid’s bow, your lip outline or target the fleshy part of the upper and lower lip. There’s also the possibility to reduce your puppet lines (the sad lines from the corner of your lips) or reduce any other lines from the sides of the mouth. When you’re visiting a surgeon, bring a photo of the type of lips you want so they can advise you on where to get your lip fillers and whether injections are the right option for you. If you’re looking for permanent results, lip fillers might not be the best option for you. They typically last around 3 to 6 months and need to be repeated if you want to maintain the results. Juvederm Ultra Plus XC is the only clinically proven lip filler that can last up to one year. However, because the results aren’t permanent, you have the advantage that adjustments can be made over time in tune with changing taste and trends. You will therefore also always retain a natural look. Moreover, if you’re unhappy with the results of HA fillers, “your doctor (dermatologist) can inject an eraser enzyme namely hyaluronidase”, that dissolves the lip filler in just 5 minutes. Always see a doctor first to check if lip injections are an option for you and whether there’s any health risks involved. You might not be a candidate for lip enhancement if you are pregnant, breastfeed, have diabetes, lupus, blood-clotting problems or an infection such as oral herpes. If you’re taking any medications or you have any allergies (such as an allergy for lidocaine), your doctor can also advise you on whether you should be taking the injections or not. One of the known side effects of lip fillers is bruising, but there’s a couple of tricks to prevent it. Don’t take blood-thinning medicines such as aspirin, ibuprofen, exedrin, aleve or advil for one week before and two days after treatment. If you’re taking vitamin E or St John’s Wort supplements, stop using them three days before and after treatment and avoid exercise for a full day after the procedure. You can use Arnica Montana as a herbal remedy in order to minimize bruises and employ ice cubes to cool the area after treatment. There are a couple of known side effects that can appear after you’ve had your injections. You might experience light bleeding, swelling and bruising around the lips and the injection site is likely to look red for a couple of days. More serious side effects may include the development of lumps and irregularities in the lips. Your lips can look asymmetrical, become infected or start showing symptoms of ulceration, scarring or stiffening. If the fillers are injected into a blood vessel, this can cause tissue loss. An allergic reaction can cause redness, severe swelling or itching around the lips. Make sure you see an experienced, board-certified surgeon to lower the risk of complications. If you do witness severe problems, get in touch with an experienced team of cosmetic surgery solicitors who can help you pursue a negligence claim.